This is a recipe that I modified from a very old recipe that my mother and father have had for years. It can be relatively labor intensive, and we traditionally eat it in our house on Christmas or Christmas Eve. Do not be deceived by the list of the dressing ingredients. This is the best Caesar salad that I have ever tasted. 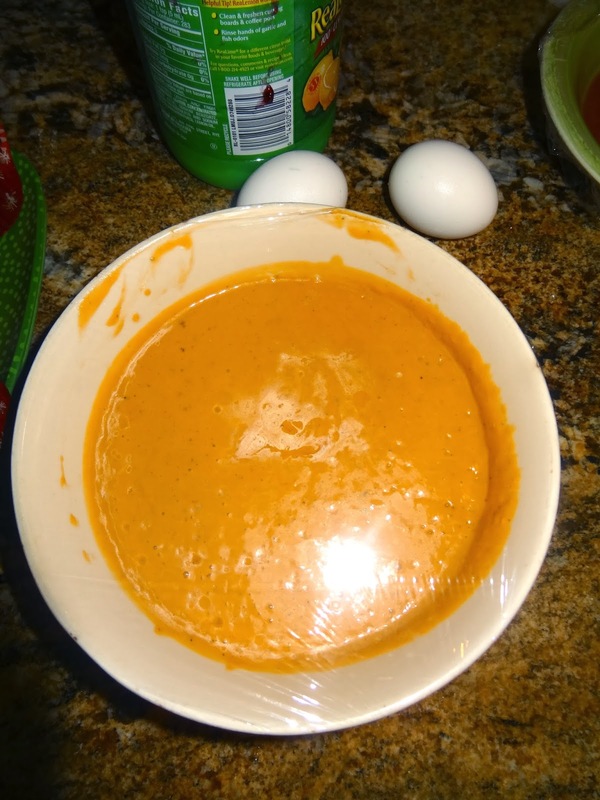 At least twenty four hours ahead of time prepare this part of the dressing: In a blender, blend together the olive oil, vinegar, garlic, Worcestershire, ketchup, saracha, pepper, peach, and anchovies. Make sure that the mixture is well blended and smooth. Place it in the refrigerator and chill for at least twenty-four hours. Forty-eight is better. Place the lettuce in a large bowl. Whisk the eggs into the prepared dressing pour it over the romaine and toss it well before adding the lemon juice to the salad and tossing it again. Top the salad with the shaved parmesan cheese and enjoy.